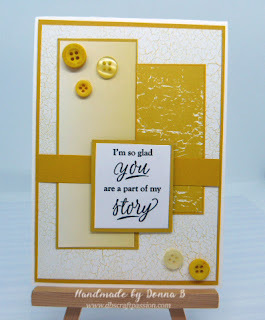 A lovely card I made yesterday, perfect for a friend as a handmade card is all the more special! There is a strong geometrical pattern on this card. The identical sized hexagons add symmetry to the but I love the unique patterns within, gives you plenty to look at and admire. Also, the little ribbons just finish the card off nicely. I feel a handmade card is much more meaningful, especially for a close friend!